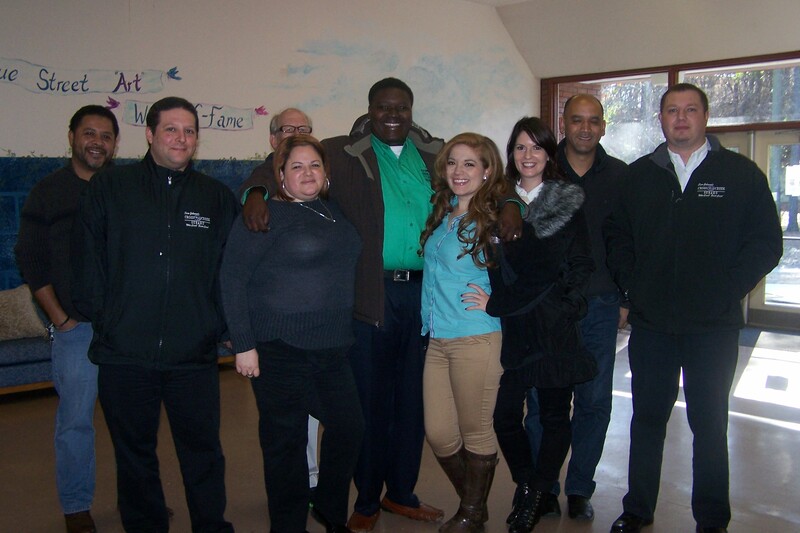 Cross Creek Subaru volunteered during the annual “Share the Love” event in December 2013. 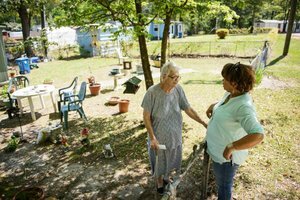 Ann Pennington, MOW client, speaking with her Joann Bellamy, her volunteer and friend. 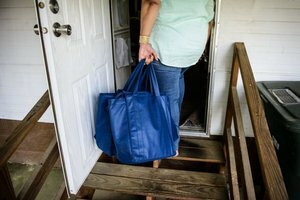 Joann Bellamy carries a weeks worth of meals to Blanche Johnson’s home in West Fayetteville. 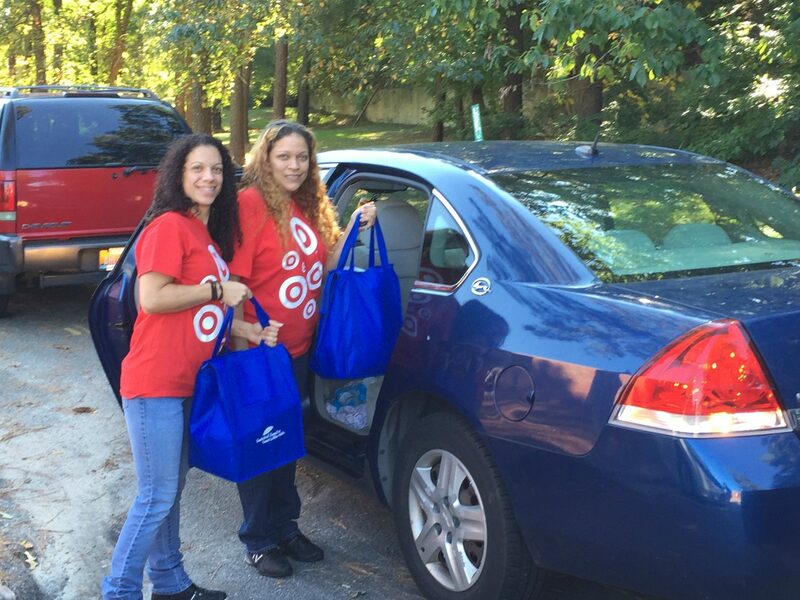 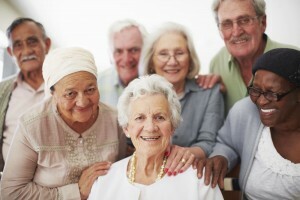 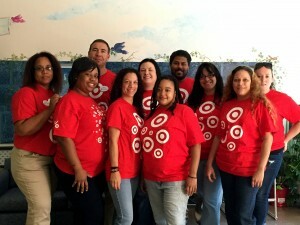 Local Target volunteers help with meals delivery. 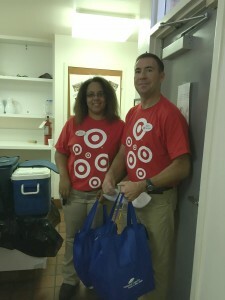 Target volunteers getting ready to head out on a route. Target volunteers load up their cars on their way to deliver meals. 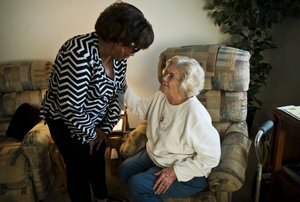 Volunteer Joann Bellamy greets client Willie McLaney in her home.